This weeks Plant of the week is again one of those most beautiful of plants that isn’t sadly widely grown here in the uk but it has so much to offer us. 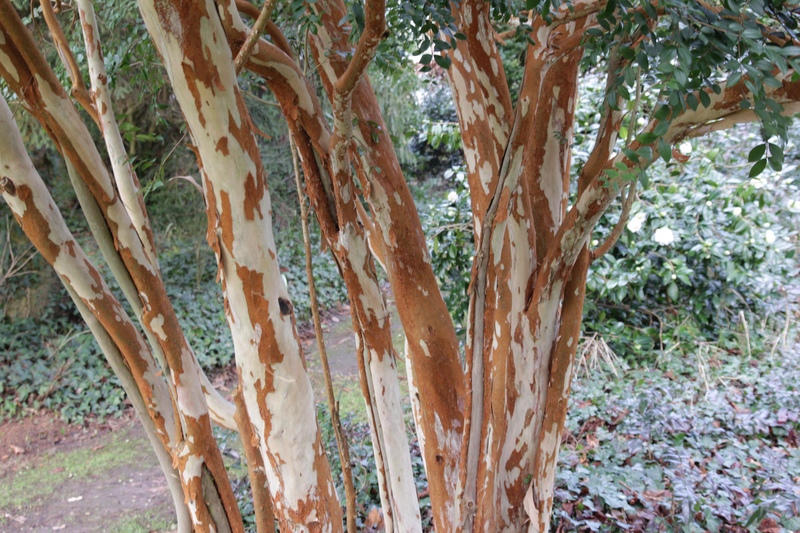 Luma apiculata is a native of South America, mainly around the Andes mountain range that encompasses Chile and Argentina. In its native counties, it mainly grows in temperate forests like Valdivana in Chile and Los Arrayanes National Park in Argentina, where there is a complete forest of Luma. Although it is from these areas, it is completely hardy in most parts of the uk, although it will struggle in the colder areas. It is one of the taller members of the Myrtle family, reaching 10-15m in its native areas but a lot smaller here in the uk making it an ideal tree for a small garden. It has also naturalised in some parts of The uk, mainly in the west and also in parts of Ireland as well as some parts of the USA. It is mainly grown for its stunning cinnamon and cream coloured bark that really shines out during the winter months but the summer borne flowers are also highly fragrant and well worth growing for the scent alone. The honey produced by the bees from luma, is very much sort after. An edible black/blue berry about 1cm across then follows the flowers. The leaves themselves are quite small and delicate around 2x1cm in size, a lovely dark brown colour and like most other members of the Myrtle family, have a slight scent to them. It is also happy to grow on all types of soil including clay and chalk as long as it is free draining but also doesn’t dry out too much. It is pretty easy going without any major pest and diseases and requires very little pruning other than removing dead wood and crossing wood. It does make a good bonsai subject and is on my want list for pruning in the Japanese Niwaki style. It is quite easily propagated by either sowing seed or taking hard wood cuttings of it at this time of year. There is another form available called ‘Glanleam Gold’ which is a delightful variegated version and is a little more widely sold. It is grown as a fruit tree; but I have never heard of it being very productive. I like this. Very attractive trunks. I wonder if it is hardy in East Anglia? I could try!! !